Beijing, Moscow, New York, Paris, Sidney. All these and other rapidly growing cities have a common issue - too many cars on the streets that cause a traffic jam. In the last 20 years, the variety of car brand representatives have doubled. 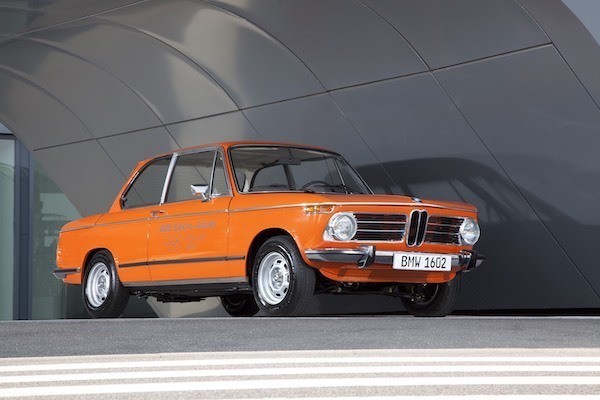 At the beginning of 1990, the 7th series of BMW cars looked like sedans of impressive size. Today, the same measurements of bodywork are applied to middle-class 5th series. If you would like to witness the inverted growth of the car, we suggest familiarizing with the tiniest vehicles of the world. 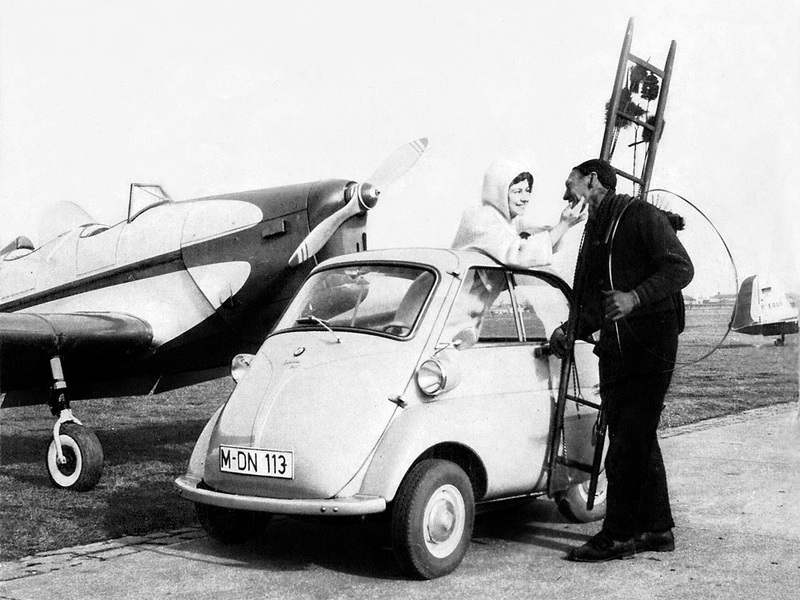 Cars so small they can fit into any parking spot, and Arnold Schwarzenegger himself could carry these cars instead of a sports bag. Germany is a land of fast and powerful cars. Everyone knows that. Germany is also a homeland of non-traditional, experimental car designs. Engineers come up with crazy ideas for several reasons. One of them is a desire to create an effective, eco-friendly means of transportation that wouldn’t necessarily look like an overworn shoe. Fuldamobil is a manufacturer that does not obey any rules. Besides that, behind the company’s history hides a fascinating person named Norbert Stevenson. 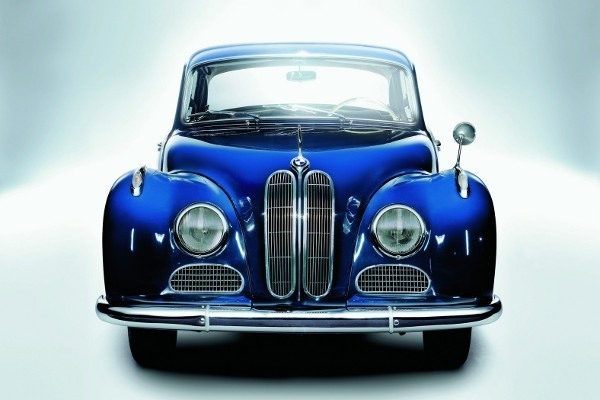 He was an independent journalist with a keen interest in car’s design subtleties. Eventually, he gathered similar-minded people into one group and opened a factory that built small vehicles. 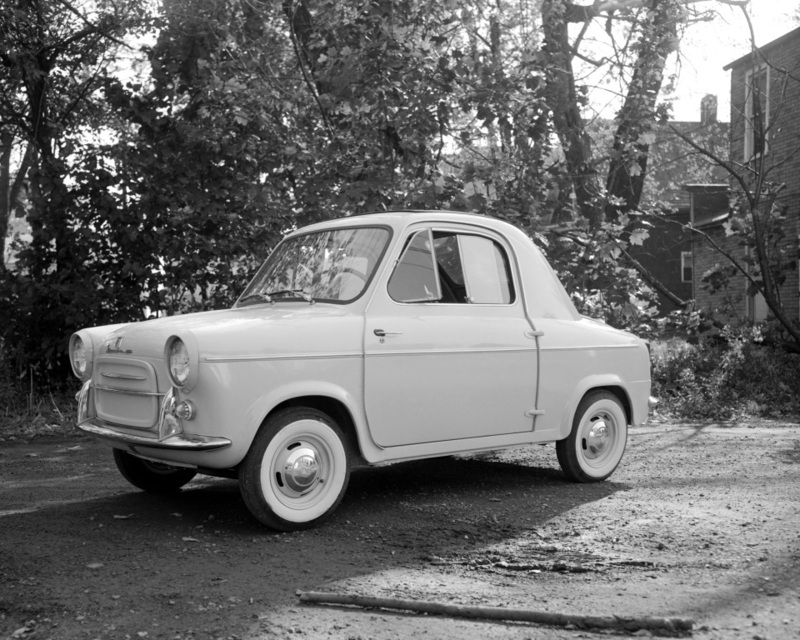 In a relatively short period, Fuldamobil released several different models with minor changes. 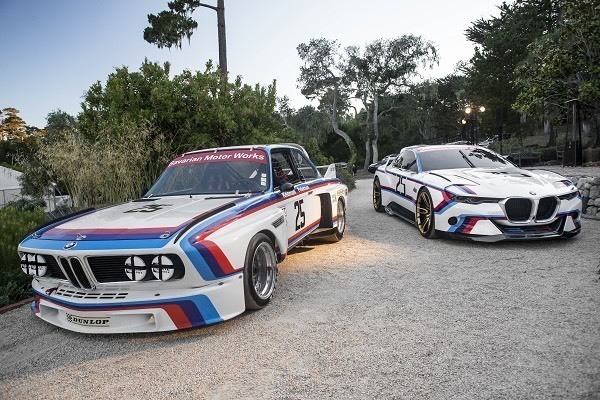 These cars indeed managed to attract the attention of industry specialists, but only for 5 minutes. Vespa brand name is usually found on scooters which quickly navigate through the city’s traffic jam. 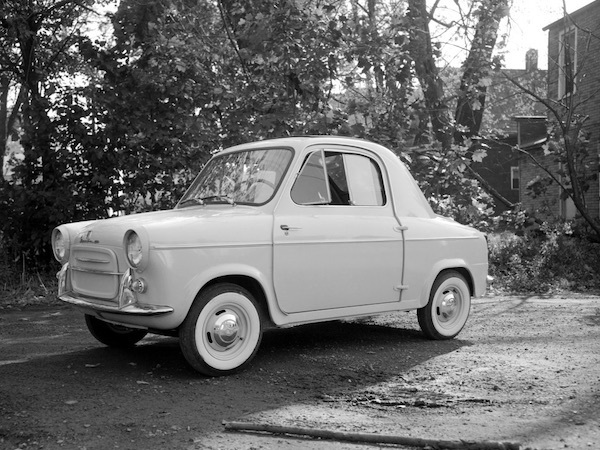 However, during the ‘60s, Vespa’s board of directors tried to enter the mass production with this stylish, rear-wheel drive convertible. Only 2,8 meters in length, the car had a 0,4 liter, two-cylinder gasoline engine that, compared to the majestic modern vehicles, looks funny. 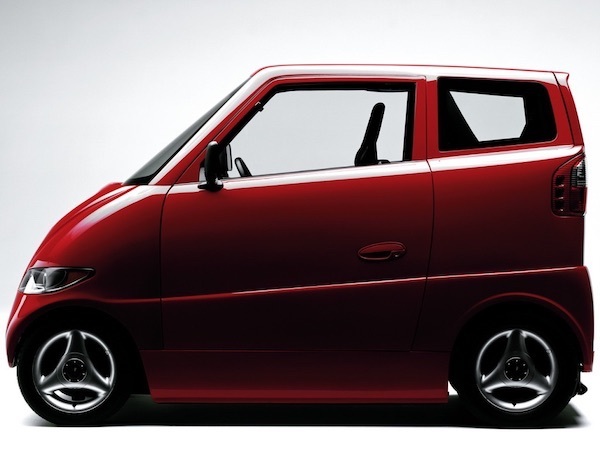 Still, a tiny 375 kg car was dynamic enough and fit the crowded city streets perfectly. 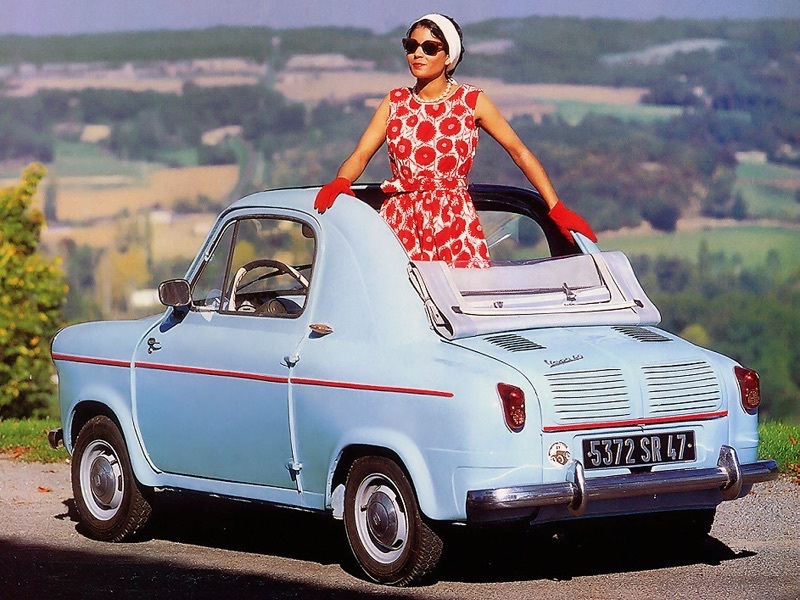 In this list, Vespa 400 is one of two models that achieved commercial success. In 1958 alone, Vespa sold more than 12,000 of these tiny cars which infested the roads of France and Italy. 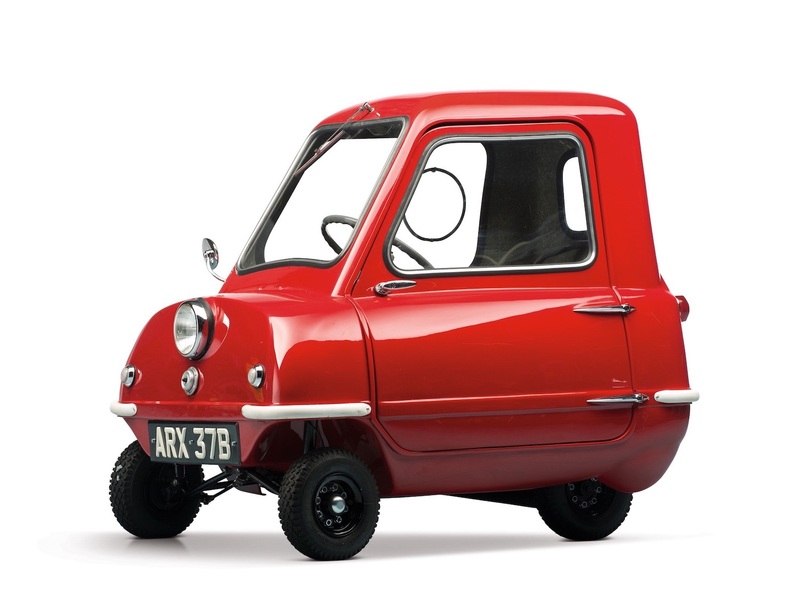 A dwarf Peel P50 became famous thanks to the creative team of „Top Gear“, and is crowned as the tiniest car in the world. That is because there were no other brave souls to build a car that is only 134 cm in length, 99 cm in width and almost one meter in height. 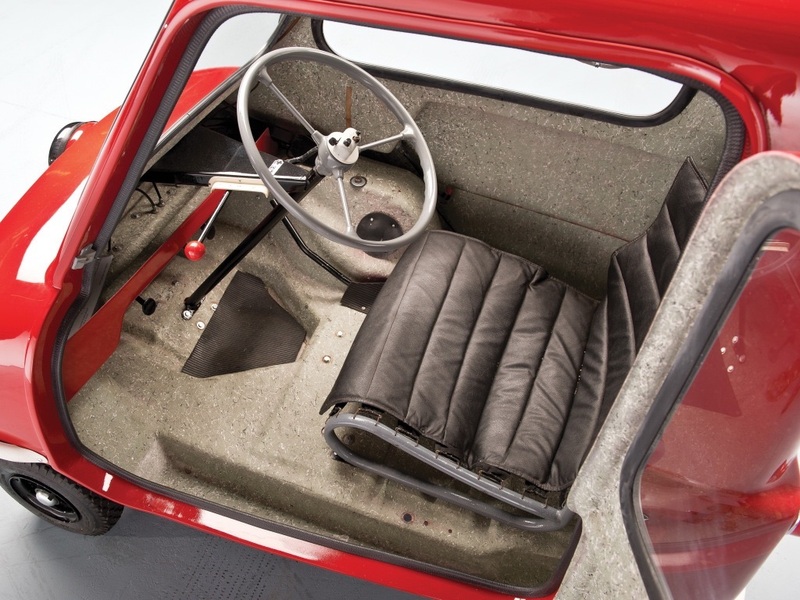 The original Peel P50 was launched at the beginning of the ‘70s and produced from 1962 until 1965. Unfortunately, extraordinarily tiny and cheap car appealed only for a small audience that didn’t care much about crowded parking spaces at the time. Now, the authentic Peel P50 is worth more than a brand new Porsche 911. Not so long ago, one P50 model was sold in the classic car auction for a staggering price of 124,000 Euros. The electrification of the automotive industry has already begun, and it doesn’t seem like it’s going to stop anytime soon. While the electric car supporters are happy about it, technology creators are stressing out as they believe their ideas were realized too soon. Commuter Cars Tango is a car of 99 cm width and 2,5 m length that the engineers of the US-based company expected to sell for… 108,000 Dollars. 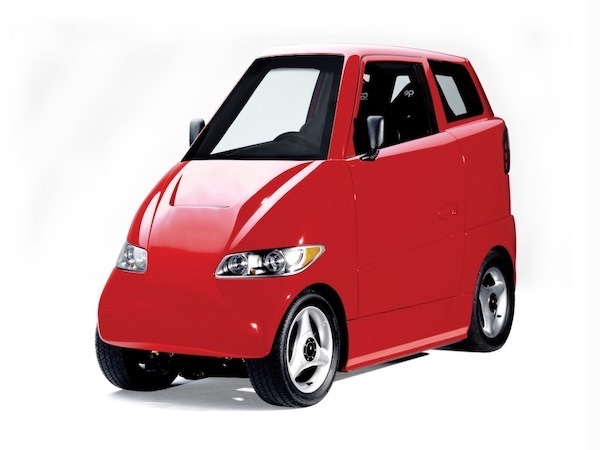 Car creators tried to justify the high price by boasting of specific Tango T600 features, such as its dynamic. This midget can reach up to 100 km/h in 3,2 seconds. In the right conditions, the car went at a max of 240 km/h. 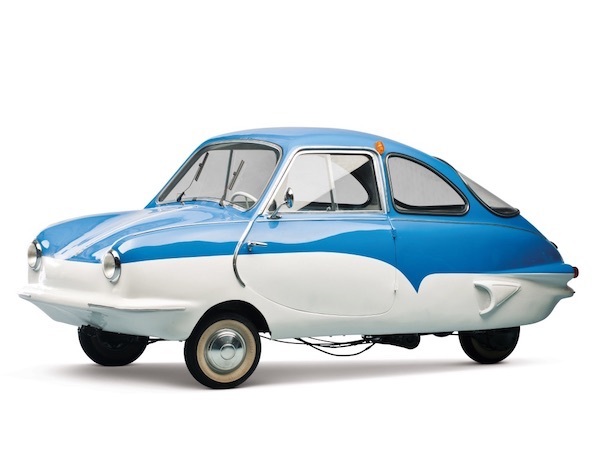 This tiny, egg-shaped car looks like it’s from the future even by today’s standards. 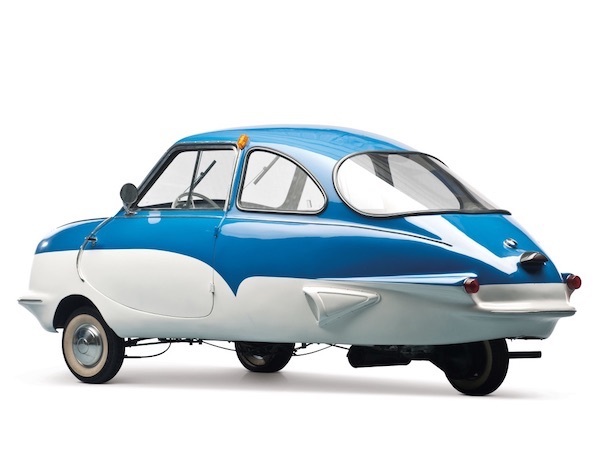 Produced in the early ‘60s, Isetta caught the attention of a large car manufacturer. 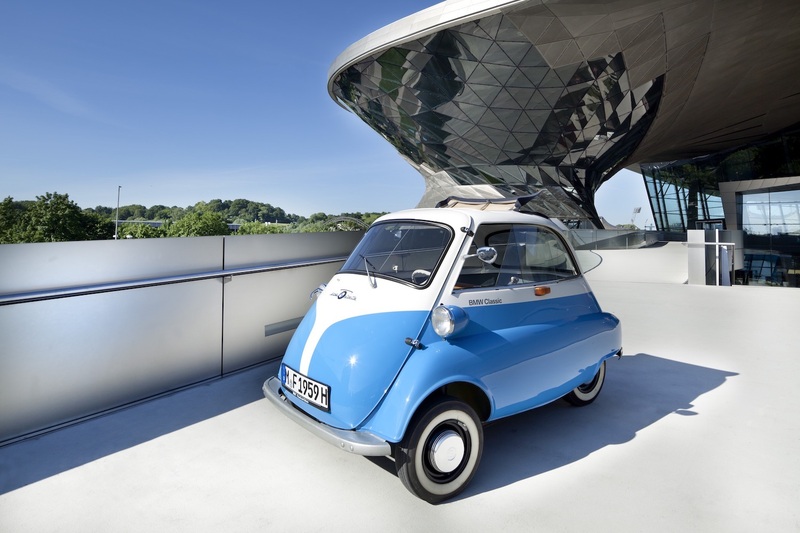 In 1955, BMW bought the license for manufacturing Isetta. 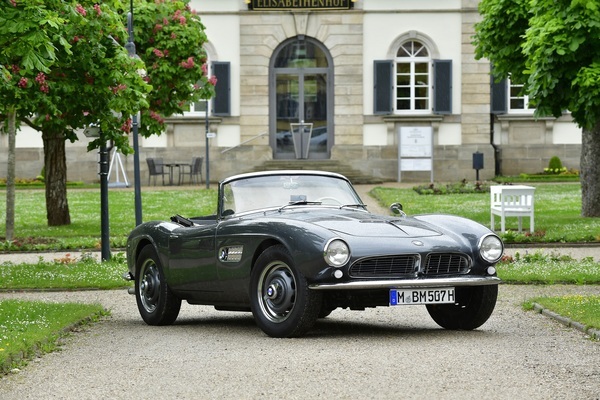 After making some changes, they believed they obtained the most popular car of all time that runs on just one-cylinder engine. 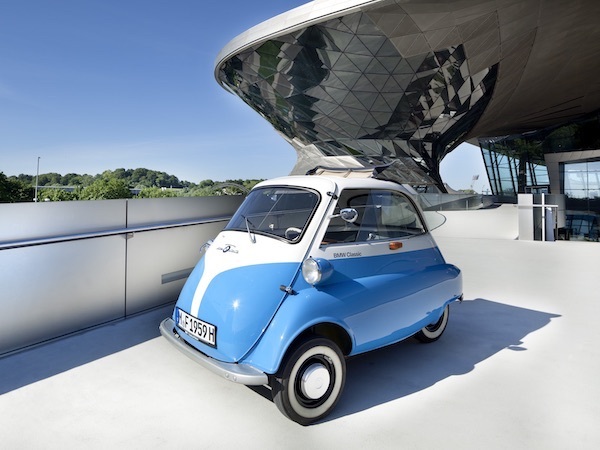 Three years after presenting BMW Isetta to the public, brand’s representatives were excited that a model of 13 horsepower found more than 160,000 owners around the globe.